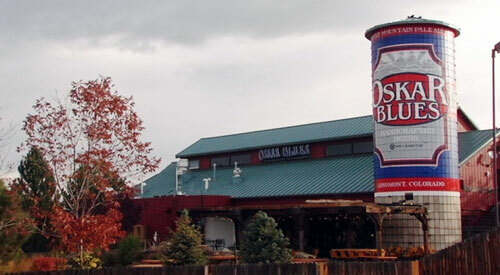 Oskar Blues has become an institution in Colorado, flourishing even when the economy wasn’t. In fact, the company’s endeavors have grown beyond beer, venturing into their own root beer, sauces, and even organic farming. With all this in mind, it is easy to see why we are proud to have Oskar Blues as our September Spotlight Brewery. All Oskar Blues 4 packs, 6 packs and 12 packs will be at least $1 off for the month of September at Pettyjohn’s. The Oskar Blues lineup includes: Mama’s Little Yella Pilsner, Dale’s Pale Ale, Old Chub Scotch Ale, Pinner Session IPA, Gubna Imperial IPA, G’Knight Imperial Red, Mixed 12 packs, Dale’s 12 packs, Pinner 12 Packs, and don’t forget the newest release called Blue Dream IPA. The Blue Dream IPA is a bright flavored crisp IPA that is reminiscent of the Pinner Session IPA, only more substantial, sitting at 6.34% Alc. by Vol. If you find yourself “jonesin’” for more Oskar Blues beyond our September Sales, do check out their “Ordeal Ultimate GABF Getaway” (http://draftmag.com/ordeal/). As if all this Oskar Blues news isn’t exciting enough, we will be raffling off a very nice Oskar Blues Growler here at Pettyjohn’s at the end of the Spotlight, so come on in to sign up for your chance to win a cool looking free Oskar Blues beer vessel.